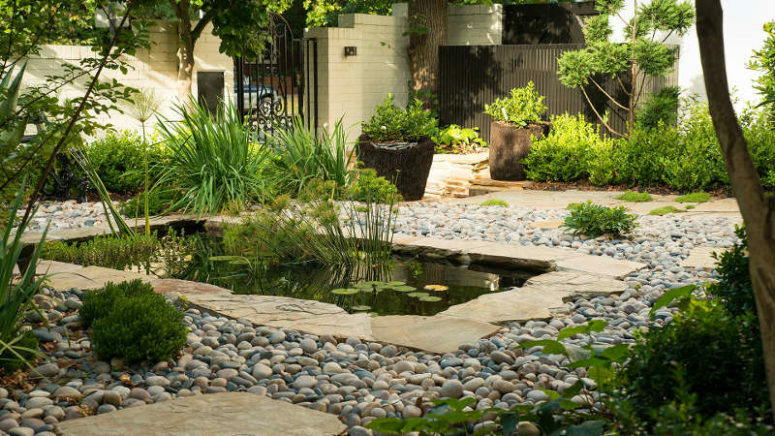 If you are puzzling over how your garden and backyard should look, what design to choose, I have a great one to get you inspired. 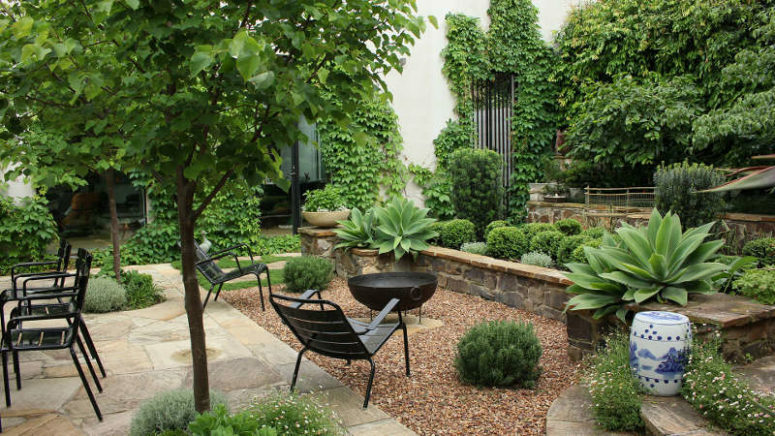 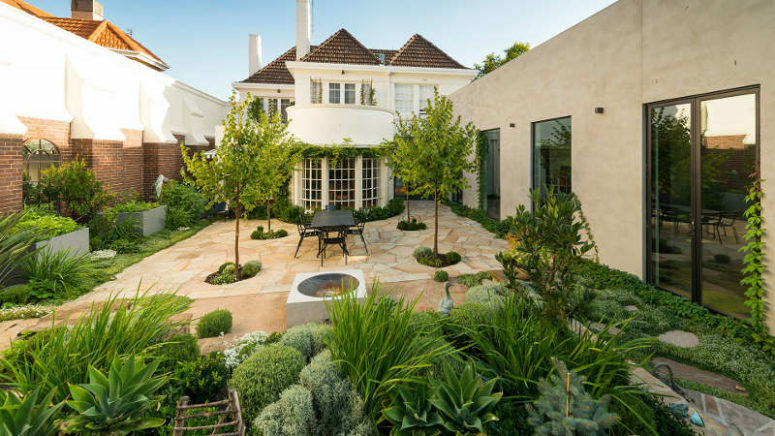 This garden in South Yarra, Melbourne by Kate Seddon Landscape Design, is a gorgeous space that looks so relaxing you’d never want to leave it. 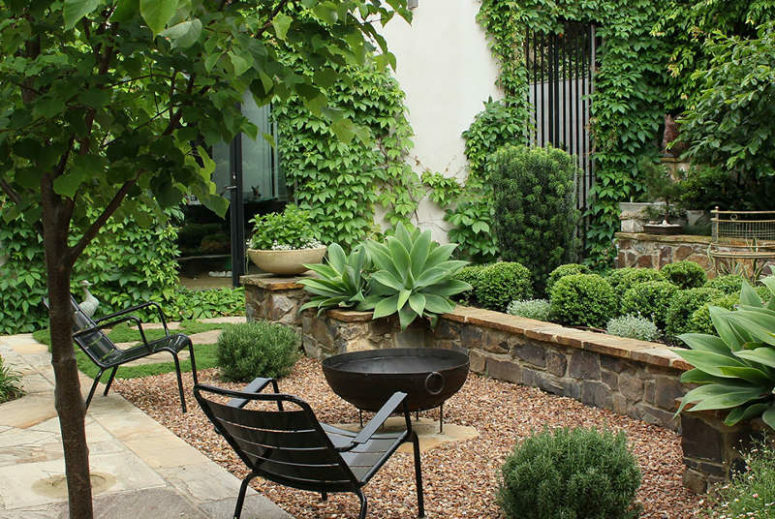 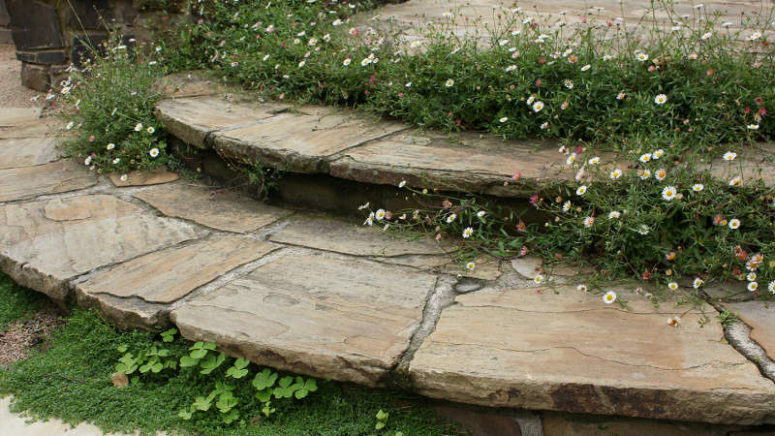 The hardscaping is done with crunchy gravel and sandstone paving, it’s a stylish and long-lasting combo, and paving looks very natural, which makes the garden cozier. 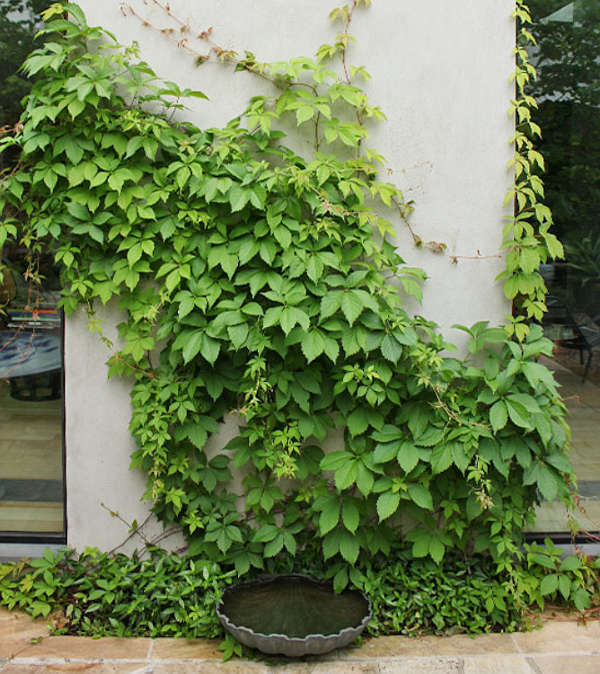 What I totally love about this space is ivy growing up the walls, thanks to which the garden looks much greener and very relaxing – like an oasis. 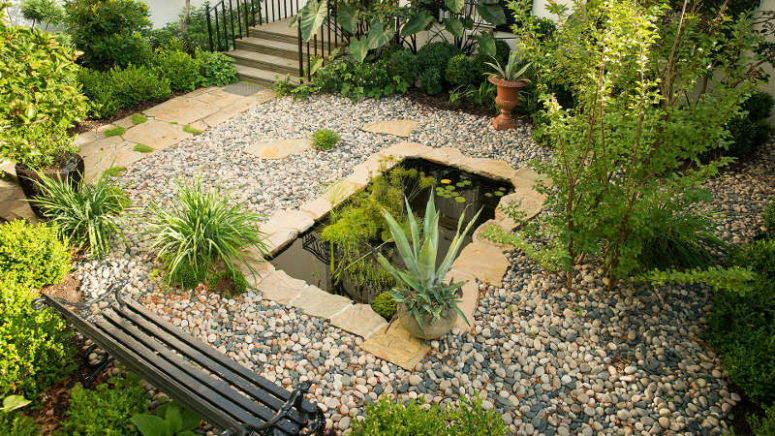 There’s a pond clad with the same paving and surrounded with pebbles, it’s another relaxing feature. 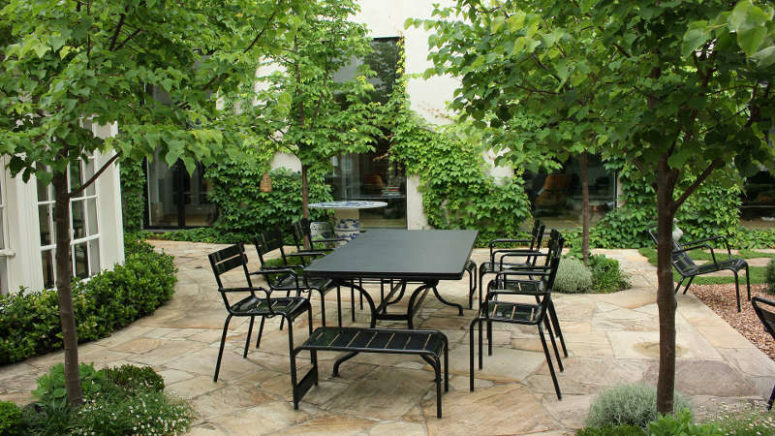 The garden furniture is all black, of metal and wood, it looks timeless and doesn’t spoil the peacefulness of the space, it doesn’t distract attention from the greenery around.